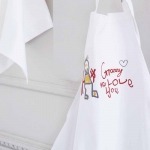 Once you have placed your order, simply email the image of the handwriting/drawing for embroidery to us at Big Stitch. 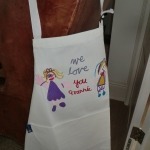 A simple photograph of the image is adequate. All of the personalised gifts produced by us here at Big Stitch are made to order and so are unique. 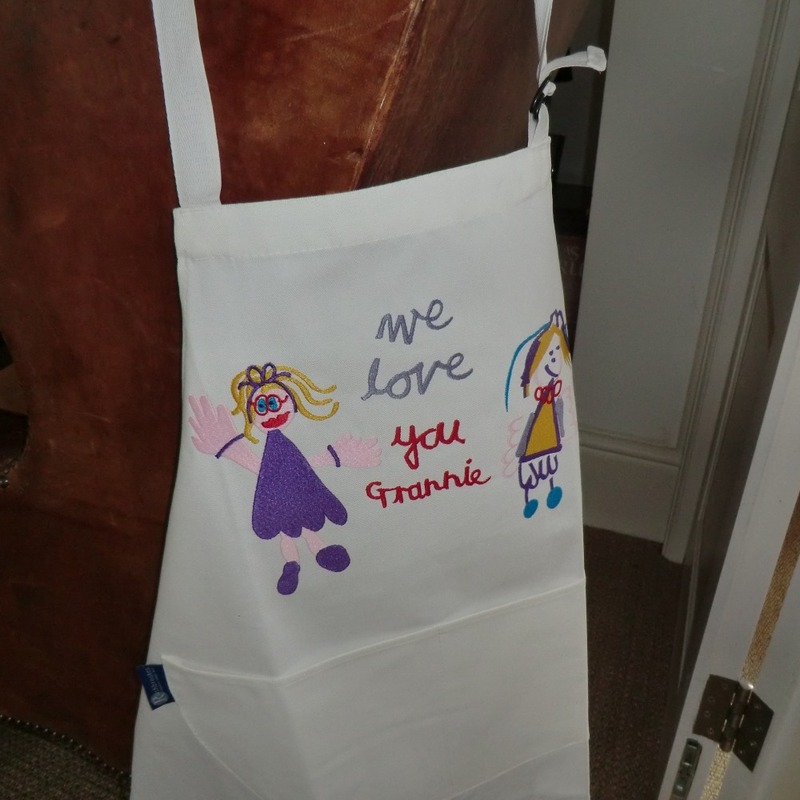 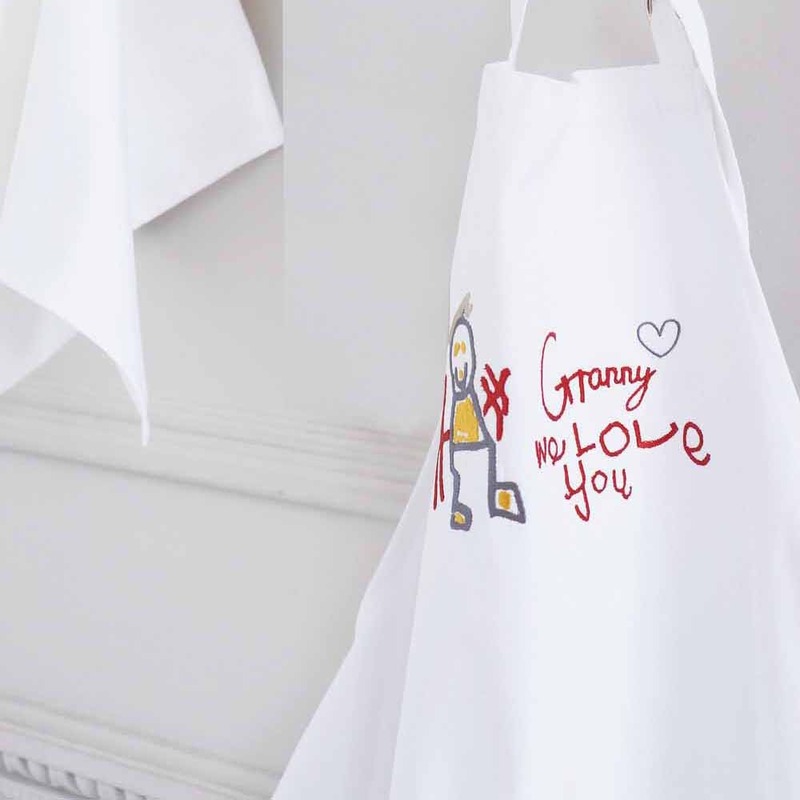 This apron makes a wonderful gift and a perfect way to treasure a handwritten message or drawing for many years to come.